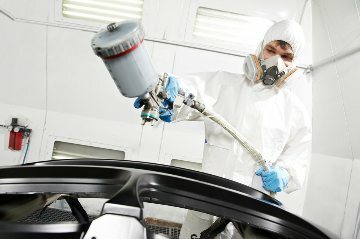 At Profinishers, we educate you so you can make informed decisions about your repair without any hidden costs. Whether it is an insurance claim, preventive maintenance or auto accessories, we are here to help, serve and answer your questions. Insurance Claims can be easy or very difficult. Profinishers Auto Body has the experience and knowledge on how to talk with your insurance provider to give you the best results. We also can provide you with a rental car while repairs to your vehicle are being completed. So, the next time you have an automotive insurance claim, call Profinishers Auto Body and let the experts handle your insurance adjusters. Preventive Maintenance is key to keeping your vehicles on the road longer. Routine maintenance and care adds years to your vehicles longevity. Stop in for a FREE inspection and see what areas need attention. If you are in the market for custom rims, window tinting, heavy duty floor mats, grill guards, tow hitches, door protectors or any toher accesory Profinishers Auto Body has the network to find just want you want. Stop in to see the numerous products we have to offer.